 Public Lab: May 4th Pier 42 Balloon Mapping! 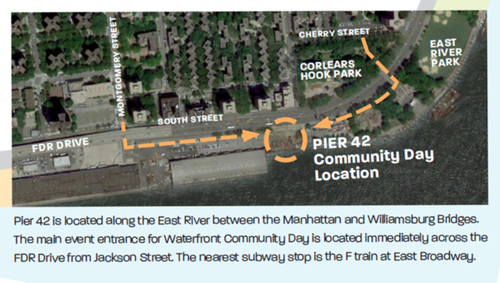 May 4th Pier 42 Balloon Mapping! An opportunity has come up to do a balloon mapping day with Hester Street Collaborative on May 4th. It is part of the HSC Waterfront Community Day! http://pathstopier42.com/2013/04/22/waterfront-community-day/ Please let me know if you are interested and can come so we can plan on a place to meet and also how we can share resources to make this a really cool balloon mapping experience. Visit PathsToPier42.com to learn more!